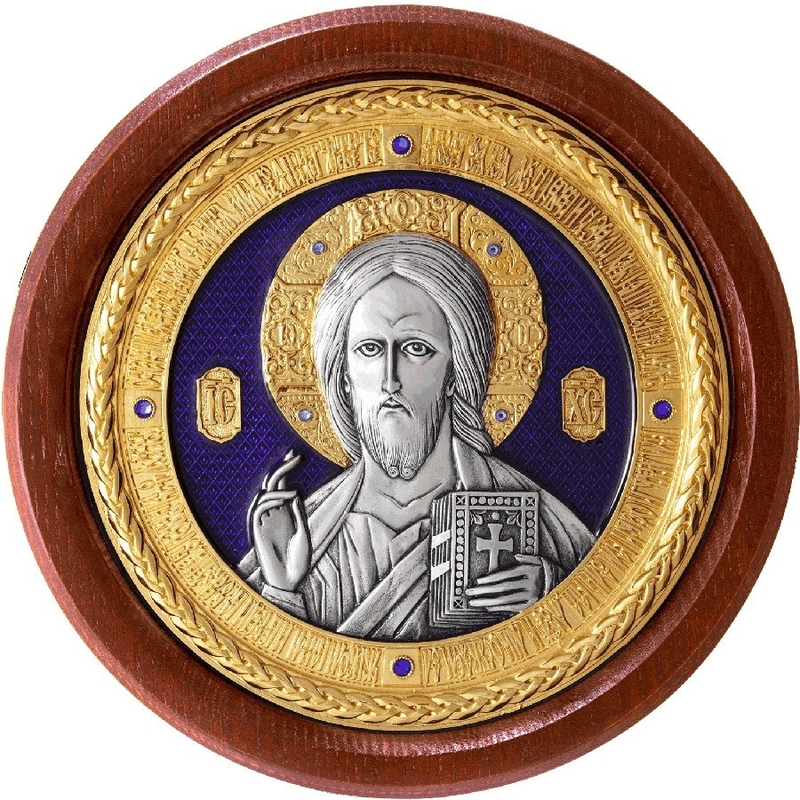 Icon of Christ the Pantocrator - - Istok Church Supplies Corp. 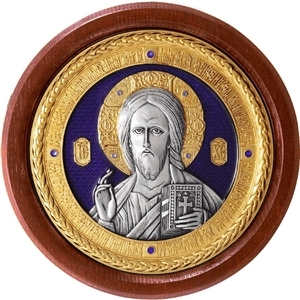 Traditional Orthodox Christian metallic icon of Christ. Solid wood, copper, gold-gilding, enamel, lacquering. Size: 7.1'' (180 mm).